The minions at MyMajors have been working pretty hard over the last 3 months to roll out a new MyMajors including more data, new design, and mobile optimized college and career readiness website for students, counselors and parents. You can also search for other majors, colleges, or careers. We have also reconfigured all the mobile pages to create a better experience on your phone and tablet. 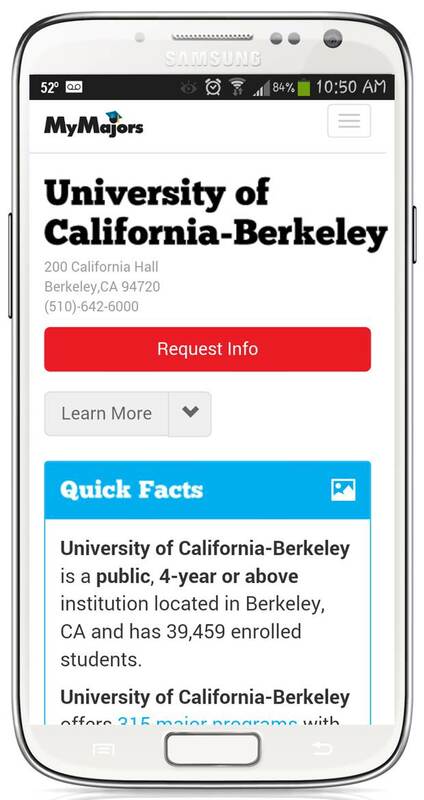 We are still adding new features, data, and accessibility to major, college and career information. With the new data and The College Major Quiz, you have the resources to create your college and career plan today. If you are an advisor or counselor, you can sign up for a School Account for your students here.